Glass mirrored back. A large center drawer features metal guides, and provides storage for utensils, bar cloths, and other items. 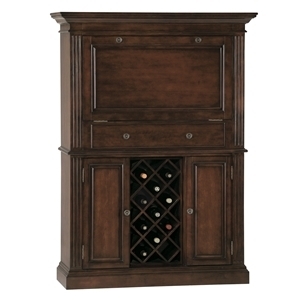 The lower cabinet features a wooden wine rack with storage capacity of 11 bottles. Hanging stemware rack.